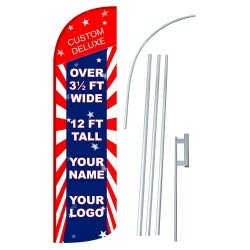 We carry a large selection of stock titles, but if you don't see what you need we also offer custom flag services; let our professional design team assist you. 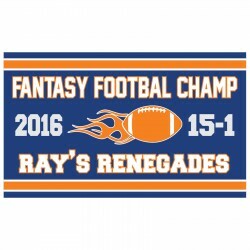 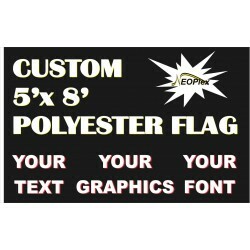 Our custom flags are digitally printed using dye sublimation which means that we can get nearly any color or color combination you are needing. 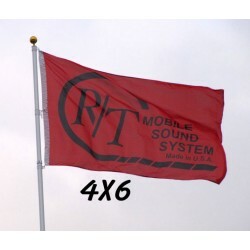 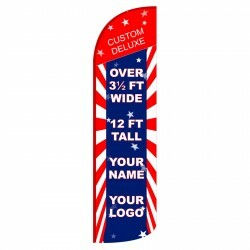 All of our swooper flags come with a reinforced nylon sleeve and all of our rectangular flags come with either a sleeve or grommets, whichever you need. 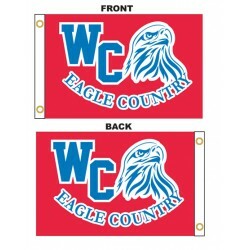 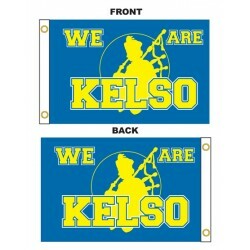 If you don't see the style or size you are needing let us know; we can make nearly any type of flag you could need. 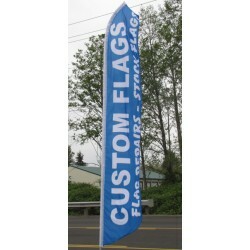 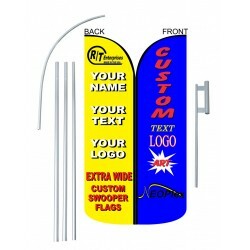 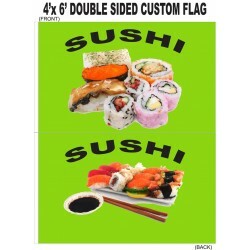 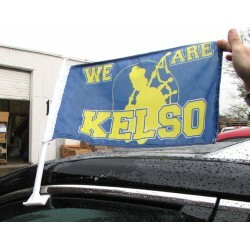 No matter what style you buy these bright flags will get your advertising message out there and bring in traffic. 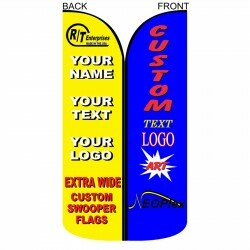 You can't get more accurate advertising than your own personal message. 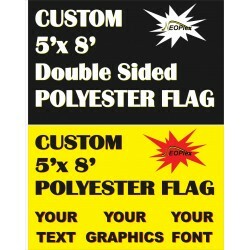 Includes Custom Printed Single Sided Flag 24 inches by 36 inches custom flag with your own text a..
Includes Custom Printed Double Sided Flag Nylon Blocker sewn between flags for optimal visibility..
Includes Custom Printed Single Sided Flag 36 inches by 60 inches custom flag with your own text a..
--Includes Custom Printed Double Sided Flag--Nylon Bloacker sewn between flags for optimal vivibilit..
--Includes Custom Printed Single Sided Flag--48 inch by 72 inch custom flag with your own text and g..
--Includes Custom Printed Double Sided Flag--Nylon Blocker sewn between flags for optimal visibility..
--Includes Custom Printed Single Sided Flag--60 inch by 96 inch custom flag with your own text and g..
--Includes Custom Printed Double Sided Flag--Includes Plastic Car Pole Attachment--Nylon Blocker sew..
--Includes Custom Printed Single Sided Flag--Includes Plastic Car Pole Attachment--11 inch by 18 inc.. 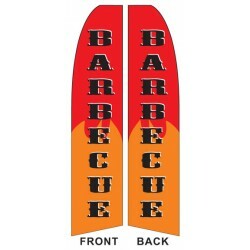 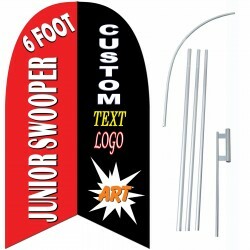 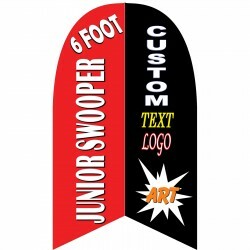 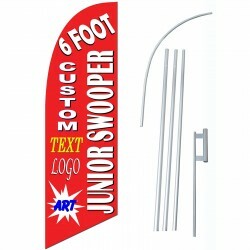 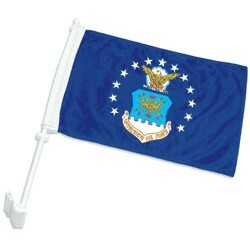 Custom 6' Junior Swooper Flag 1-Sided 72 inch tall by 28 inch wide swooper flag with your own tex.. 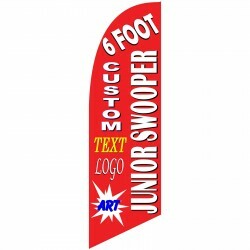 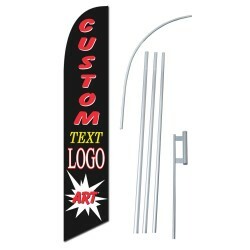 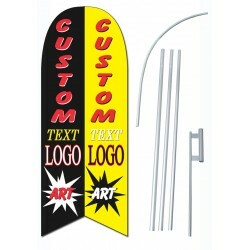 Custom 6' Junior Swooper Flag 2-Sided 72 inch tall by 28 inch wide swooper flag with your own tex..
Includes Custom Printed/Double Sided Flag (HARDWARE NOT INCLUDED)Windless style pole sleeve keeps th..
Includes Custom Printed/Double Sided Flag + Pole + Ground StakeWindless style pole sleeve keeps this..
Includes Custom Printed Flag (HARDWARE NOT INCLUDED) Windless style pole sleeve keeps this flag o..
Includes Custom Printed Flag + Pole + Ground StakeWindless style pole sleeve keeps this flag open, n..
Includes Custom Printed/Double Sided Flag Windless style pole sleeve keeps this flag open, no win..
--Includes Custom Printed/Single Sided Flag--Windless style pole sleeve keeps this flag open, no win..
--Includes Custom Printed Flag + Pole + Ground Stake--Windless style pole sleeve keeps this flag ope..